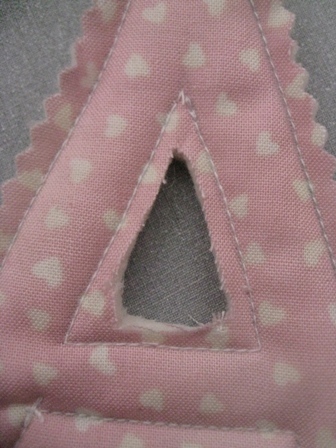 …that I’m suppose to be knitting Kira’s sweater but I just can’t resist a cute & quick sewing project. 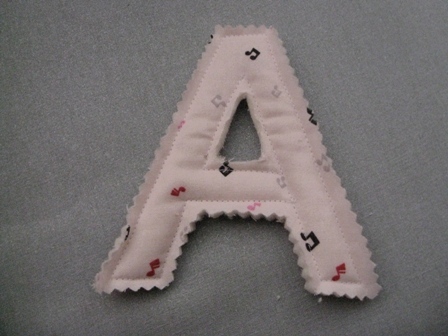 Since Kira was born I’ve wanted to sew an alphabet for her. It’s one thing to see letters in books, on TV and play with them for a few minutes in the tub at bath time. It’s another, altogether to hold them in your little hands, feel them, see them, move them around. I’ve seen several tutorials on-line, here and here and here but I just didn’t have the skills or the sewing machine to do them. Then I saw this on Pinterest and decided to try again. SUCCESS!!! Kira was playing near me when I was sewing it. I showed it to her and she said…”How make it? How make it Mummy? Beauful! My “a” (she makes the sound for “A”). Can I keep it? 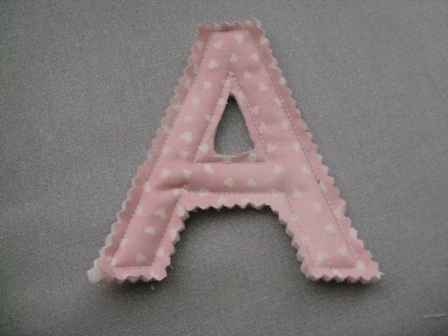 If that is not inspiration to sew the whole alphabet then what is? I LOVE THIS LITTLE GIRL!!!! My only glitch is cutting out the “enclosed” spaces …any thoughts? Suggestions? Try a zig zag in the inner space. You’ll still have to cut out the center, but the edges will be cleaner. I’d try both zigzagging and then cutting or cutting and then zigzagging. I’m not sure which would be more satisfactory. You could also just cut little slices from the middle to the line of stitching on the bias as much as possible and then just let the material fray, creating something like chenille fuzzy edge, but one that won’t pull off.